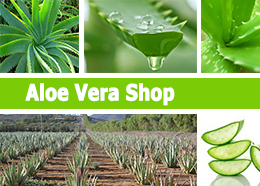 Solar screen Aloe is the many years' product of research against the protection of the sunlight. This cream has a SPF 30. It corresponds in one truth solution with regard to the market. This screen blocks the UVA and UVB radiation. It protects the balance and the hydration of the skin. Ingrédients: Aloe Barbadensis Leaf Juice, Water, Propanediol, Diethylhexyl Carbonate, Butyloctyl Salicylate, Polyester-7, Styrene/Acrylates Copolymer, Neopentyl Glycol Diheptanoate, Acrylates/C12-22 Alkyl Methacrylate Copolymer, Ceteareth-25, Acrylates Copolymer, Phenoxyethanol, Disodium Ethylene Dicocamide PEG-15 Disulfate, Triethanolamine, Pentylene Glycol, Disodium EDTA, Panthenol, Parfum, Tocopheryl Acetate, Methylisothiazolinone. Directions: Apply generously to the exposed to the sun parts of the body 15 in 30 minutes before the exposure. Repeat the operation in the 40 minutes which follow any bathing or activity in the water. This spray of high quality has a protection factor of 30. It favors the production of vitamin D. It also protects you from UVA and UVB. It calms the skin of the exposure of the sun quite there the moisturizer. Directions: Shake well before use. Apply generously and evenly 15-30 minutes before sun exposure and as needed. Spray on hands to apply to face. Reapply at frequent intervals and after swimming. Ask a doctor before use on children under 6 months of age.